Hi everyone! 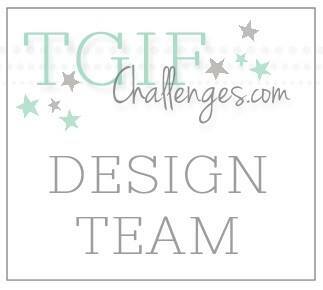 It is time for an Artisan Design Team blog hop! 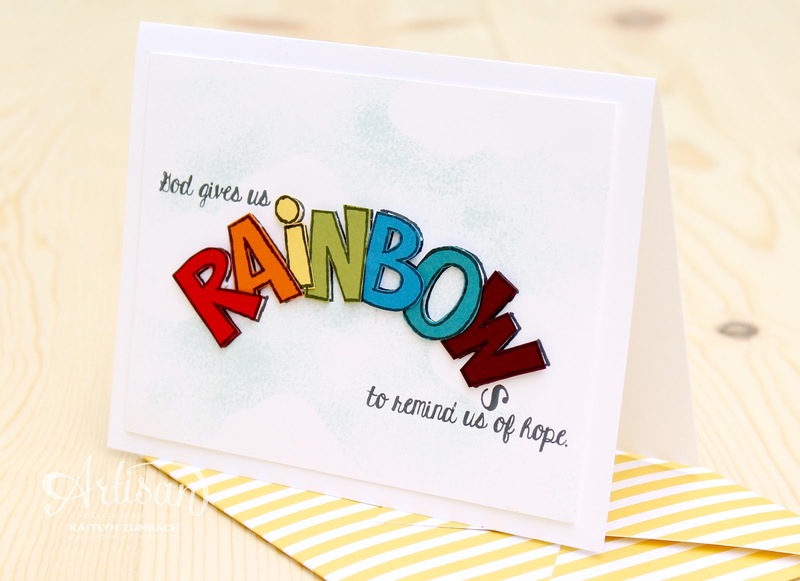 This week we are featuring the Over the Rainbow Set from the Love & Sympathy section of the catalog. At first glance you would think that this set belongs to the Kids section, but the sentiments are perfect for sympathy cards. Seems how the set is all about rainbows it is hard to pick any colors except ROY G BIV (red, orange, yellow, green, blue, indigo, and violet). It just so happens that the word rainbow has the same number of letters as colors in an actual rainbow. 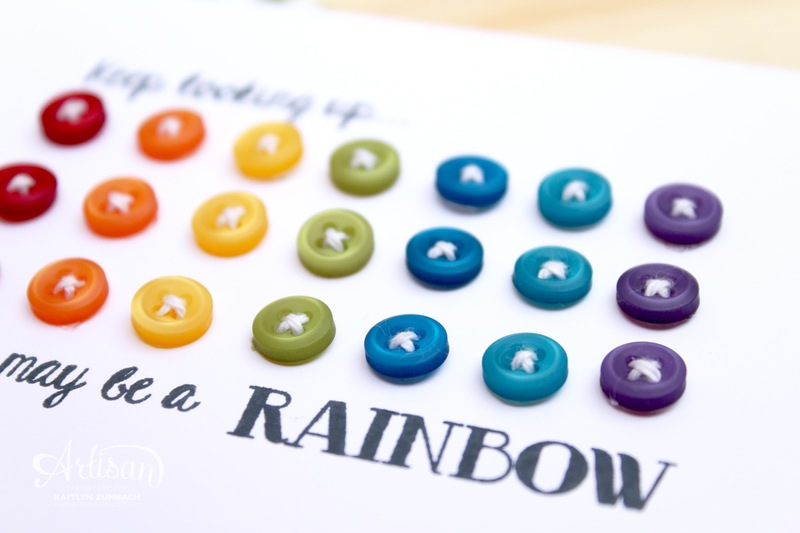 So, I stamped the large rainbow on card stock of each color and cut them out. 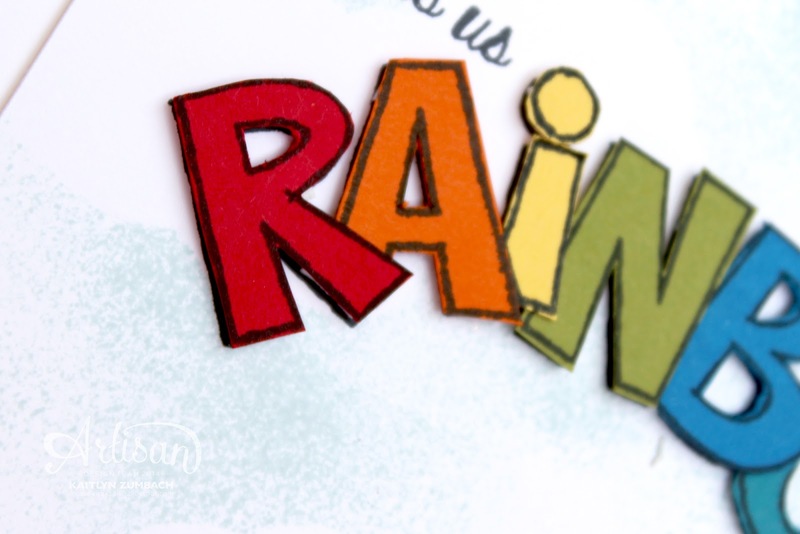 The letters are attached to the card with dimensionals so that the rainbow is leaping off the page. The cloud background was made by using multiple tree tops from the Tree Builder Punch as a mask and lightly sponging Soft Sky ink over it all. 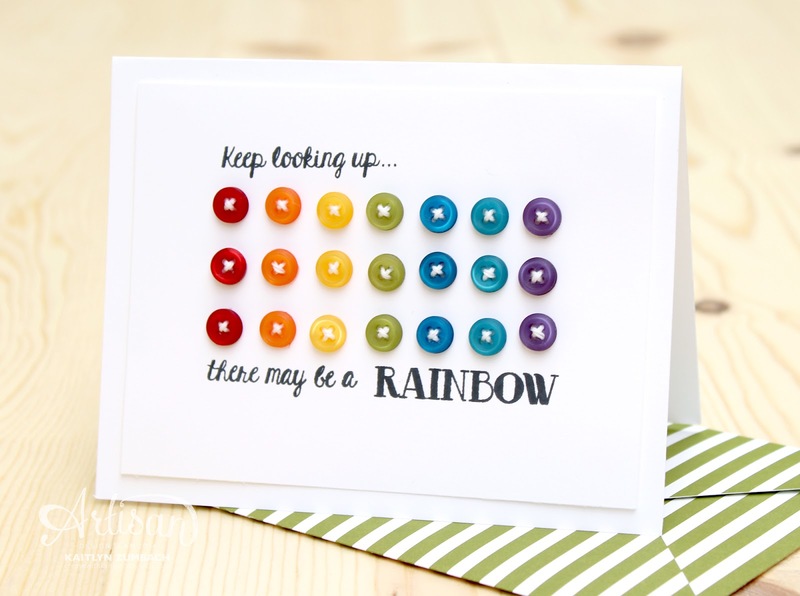 On this card I decided to make a rainbow out of buttons. I had to pull colors from the Brights Buttons and Regals Buttons to get all the colors needed. I love these little buttons! They are so perfect! To get the sentiments lined up how I envisioned on both cards I had to do some serious masking with sticky notes. Some envelopes made with paper from the Brights Collection DSP Stack make the cards really special and unique. Don't forget to use the next button below to continue along the hop! 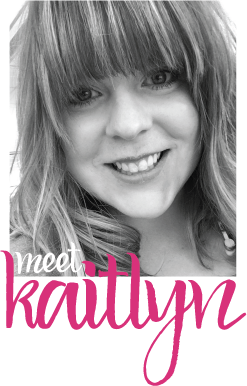 Gorgeous cards Kaitlyn, love the card with all those tiny buttons...cute!!! I love the bright and cheery letters...I also love all the buttons..and thinking this could be put into a little frame for a bit of art...too!